THE STORY - Syrian rebels who call themselves Raqqa is Being Slaughtered Silently risk their lives to document the atrocities committed by ISIS in their homeland. ​“City of Ghosts” calls our attention to Raqqa, Syria, a city devastated by routine executions and the seizure of civic freedom by ISIS, who declared the city as its capital in 2014. When violence seeps into the pores of a city’s daily existence, as it did in Raqqa upon the arrival of ISIS, there is a complacent tendency to view the surrounding horror as being rooted in the DNA of the place. “City of Ghosts,” filmed with unflinching clarity by Matthew Heineman (“Cartel Land,” “Escape Fire: The Fight to Rescue American Healthcare,”), exposes the ignorance of this notion. The opening scenes show Raqqa as a place once filled with joy, nightlife, and casual swims in the Euphrates. The juxtaposition between the innocent life of years past and the ritualistic public murders that followed brings the human stakes into stark view and provides a sense of what Raqqa has lost. The film focuses on one group in particular - Raqqa is Being Slaughtered Silently – which has worked tirelessly to reclaim and educate the world about all Raqqa has lost. The arrival of ISIS in Raqqa also brought the implementation of propaganda and the suppression of any sort of activism that questioned the authority of the Islamic State. Those who spoke out against ISIS risked their lives in doing so. Despite this danger, an international network of Syrian citizens formed RBSS and committed their lives to shining a light on the human rights abuses taking place in their home city. “City of Ghosts” examines the complicated logistical scope of the organization’s structure. Sources on the ground in Raqqa secretly send updates of recent terrorist activity and public health crises to their colleagues residing in undisclosed safe houses in Germany and Turkey, who then publish the dispatches and share them with news outlets from across the world. Much of what we know about the tragedies in Raqqa comes directly from this “citizen journalism” (a term the movie applies to RBSS). “City of Ghosts” primarily follows three RBSS leaders – Aziz, Hamoud, and Mohamed – who work from safe houses in Europe. Heineman movingly captures not just the activism of these men, but also the fragility of their personal lives. In one scene, Mohamed and his wife take a romantic walk on the streets of a vibrant German city. In another, Aziz sits in his house smoking a cigarette in an attempt to cope with the severe physical shaking that overtakes his body, a shaking sparked by the understanding that his life could be taken at any moment. 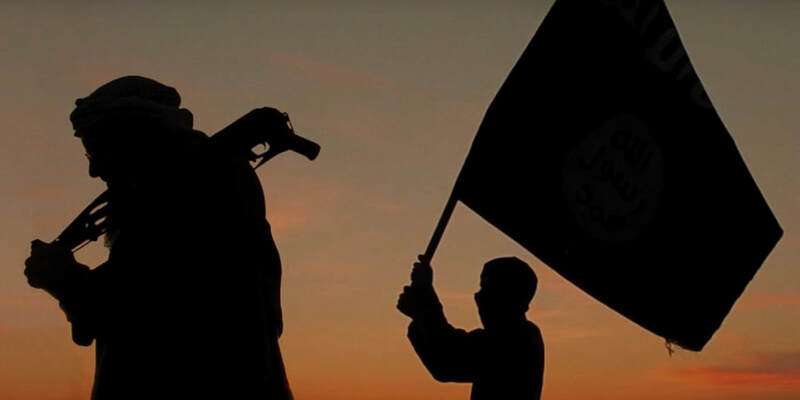 Heineman’s filmmaking is spare and haunting, and his emphasis on two extremes – an execution in a public square; a lovely stroll shared by two lovers – accentuates the fact that the battle against groups such as ISIS is, at its core, a battle to preserve a free and peaceful way of life. The gravity of the subject matter makes any qualitative assessment of “City of Ghosts” feel unimportant. And yet “City of Ghosts” testifies to the vitality of documentary filmmaking. Here is a movie that illuminates a humanitarian emergency, probes the lives of the heroes at the core of a movement, and, in turn, offers a complete study of the situation than the typical soundbites and clips that we consume.